All patients and caregivers need to take special precautions to ensure a safe living environment. Most accidents in the home can be prevented by eliminating hazards. This home safety checklist will help you find potential risks and ensure that your home is fall-proof. 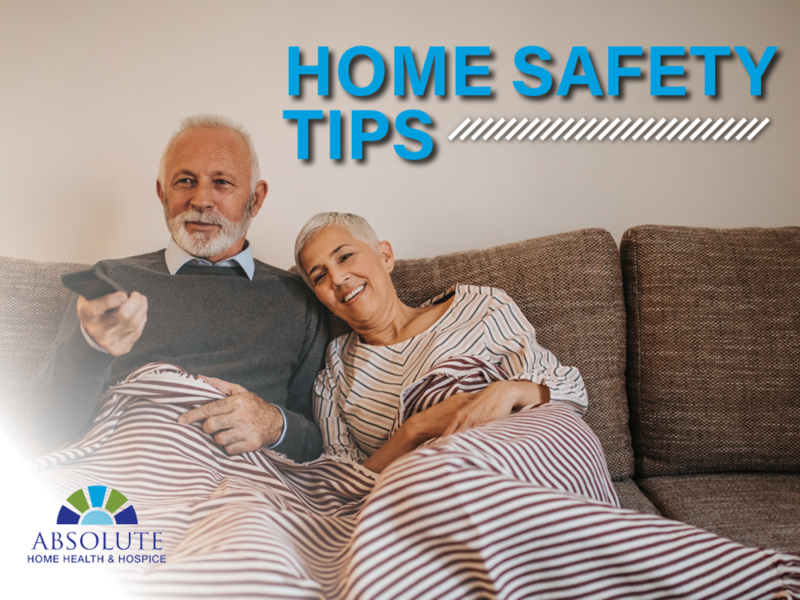 As you read through the list, make a mental note of each statement that you need to work on to make your home a safer place. Please speak with your nurse or call our agency at any time if you have any concerns or questions about patient safety. Use the following risk assessment to understand if your risk for falling is high, intermediate, or low. ▢ HISTORY OF FALLING – two or more falls in the last six months. ▢ VISION LOSS – changes in ability to detect and differentiate objects; decline in depth perception; decreased ability to recover from a sudden exposure to bright light or glare. 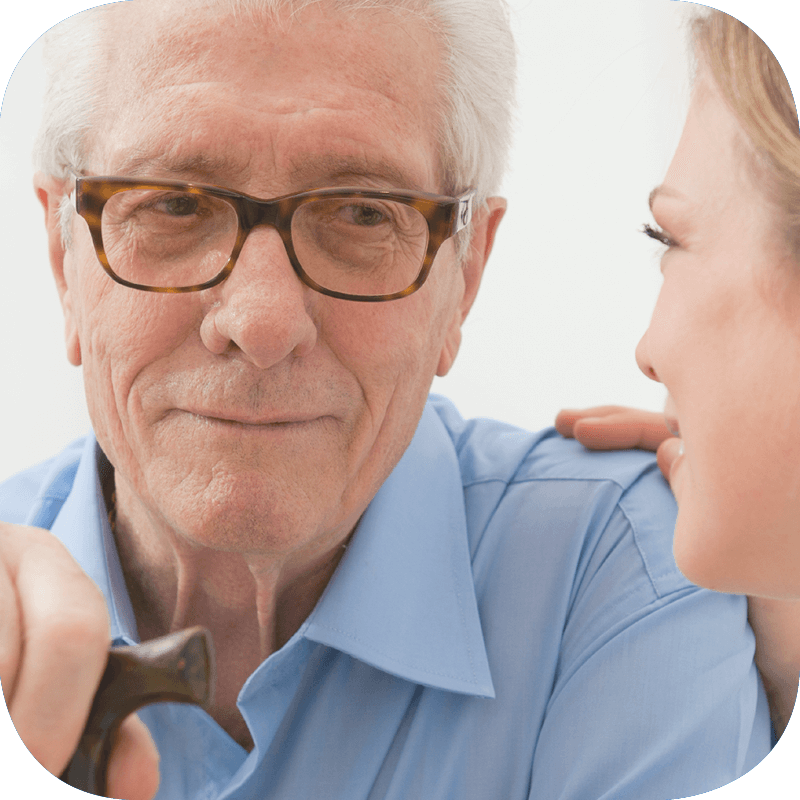 ▢ HEARING LOSS – may not be as quickly aware of a potentially hazardous situation. ▢ FOOT PAIN/SHOE PROBLEMS – foot pain; decreased sensation/feeling; skin breakdown; ill-fitting or badly worn footwear. ▢ MEDICATIONS – taking four or more medications; single or multiple medications that may cause drowsiness, dizziness or low blood pressure. ▢ HIGH OR LOW BLOOD PRESSURE that causes unsteadiness. ▢ BALANCE AND GAIT PROBLEMS – decline in balance; decline in speed of walking; weakness of lower extremities. ▢ HAZARDS INSIDE YOUR HOME – tripping and slipping hazards, poor lighting, bathroom safety, spills, stairs, reaching, pets that get under foot. ▢ HAZARDS OUTSIDE YOUR HOME – uneven walkways, poor lighting, gravel or debris on sidewalks, no handrails, pets that get under foot, hazardous materials (snow, ice, water, oil) that need periodic removal and clean up. Now that you've identified potential risks, here are safety tips that will help you take the guess work out of creating a safer environment. ▢ Place a lamp, flashlight and extra batteries within reach of your bed. ▢ Place night-lights in bathrooms, halls and passageways so you can see where you’re walking at night. ▢ Make sure the carpet is firmly attached to every step. If not, remove the carpet and attach non-slip rubber treads on the stairs. Paint a contrasting color on the top front edge of all steps so you can see the stairs better. ▢ Fix loose handrails or put in new ones. Make sure handrails are on both sides of the stairs and are as long as the stairs. Fix loose or uneven steps. ▢ Install grab bars next to your toilet and in the tub or shower. ▢ Use non-slip mats in the bathtub and on shower floors. ▢ Use an elevated toilet seat and/or shower stool, if needed. ▢ Exercise regularly. Exercise makes you stronger and improves your balance and coordination. Talk to your doctor about what exercise is right for you. ▢ Have your nurse, doctor or pharmacist look at all the medicines you take, even over- the-counter medicines. Some medicines can make you sleepy or dizzy. ▢ Have your vision checked at least once a year by an eye doctor. Poor vision can increase your risk of falling. ▢ Get up slowly after you sit or lie down. 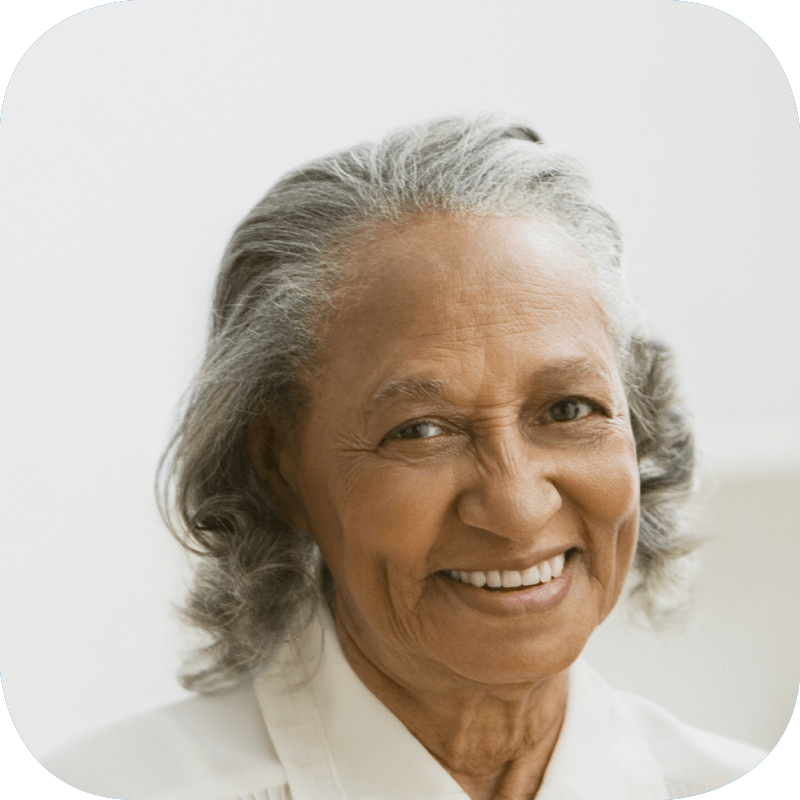 ▢ Use a cane or assistive device for extra stability, if needed. ▢ Think about wearing an alarm device that will bring help in case you fall and can’t get up. ▢ Keep emergency numbers in large print near each phone. ▢ Put a phone near the floor in case you fall and can’t get up. ▢ Wear shoes that give good support and have thin, non-slip soles. Avoid wearing slippers and athletic shoes with deep treads. ▢ Remove things you can trip over (such as paper, books, clothes and shoes) from stairs and places where you walk. ▢ Keep outside walks and steps clear of snow and ice in the winter. ▢ Remove small throw rugs or use double-sided tape to keep them from slipping. ▢ Ask someone to move any furniture so your path around the house is clear. ▢ Clean up spills immediately. ▢ Be aware of where your pets are at all times. ▢ Do not walk over or around cords or wires, i.e., cords from lamps, extension cords or telephone cords. Coil or tape cords and wires next to the wall so you can’t trip over them. Have an electrician add more outlets if needed. ▢ Keep items used often within easy reach (about waist high) in cabinets. ▢ Use a steady step stool with a hand bar. Never use a chair as a step stool. ▢ Improve the lighting in your home. Replace burned out bulbs. Lamp shades or frosted bulbs can reduce glare. ▢ Make sure stairways, halls, entrances and outside steps are well lit. Have a light switch at the top and bottom of the stairs.